← Positivity Looks Good on You! If you decided you wanted to learn to play an instrument, you would start taking lessons. Then in between each lesson, you would practice what you learned in the prior lesson. Your days would be consumed with practicing your instrument over and over until you feel comfortable to move on to the next thing you learned. Then you would repeat the process of practicing. 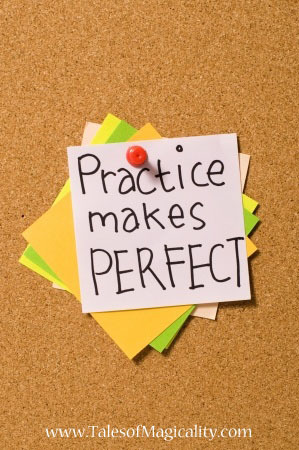 Just like with an instrument, or anything else you learn, for that matter, practice makes perfect! For Magicality and honing in on your law of attraction skills, practice makes perfect as well! If you take what you learn today and not use it tomorrow, then it won’t work for you. Remember to practice, practice, practice!